Come join Playcious and give back to our community! Help those in need this holiday season by providing meals for those in our community. 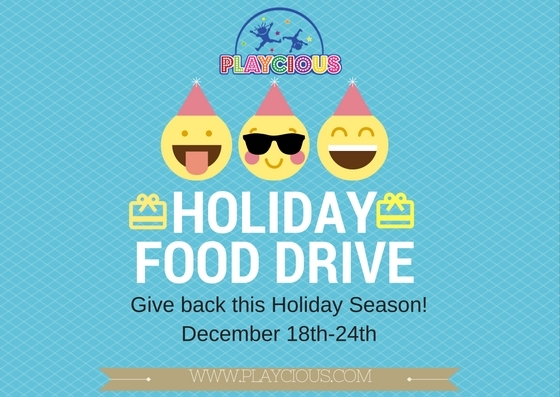 Playcious will be holding a food drive from December 18th- 24th. We will be accepting canned and nonperishable items. All items and a portion of the proceeds will be going to Humanity first.